Obamacare gets the country treatment, Twitter goes public and Blockbuster fades to black. CMA smackdown: We all know the Obamacare website is a disaster. Everyone from the president on down is admitting it needs a lot of help. We're being told that HealthCare.gov will be in much better shape by the end of the month. Still, you know things are bad when you're panned on the Country Music Association Awards show. The spoof "Obamacare by Morning" set the Twitterverse on fire with the hashtag #obamacountrysongs, inspiring the masses to come up with their own pseudo-country tunes. Brianna Keiler joins "New Day" throughout the morning to look at the challenges facing the Obama administration. Watch for Politico's Maggie Haberman too. Price of fame: New Jersey Gov. Chris Christie wins another term to lead the Garden State and immediately becomes the early favorite to head the GOP ticket in 2016. Yes, we're three years from Election Day, but that's what political pundits do, they speculate. How does his brash personality play to the Republican base? We've got plenty of time to find out. Deborah Feyerick is keeping tabs on the Christie campaign. 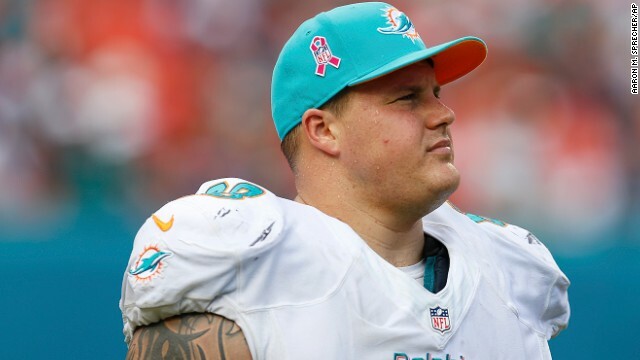 Well, this is a surprise: Miami Dolphins quarterback Ryan Tannehill says the whole team was caught off guard by accusations of misconduct against Richie Incognito by teammate Jonathan Martin. In fact, the QB says Incognito thought of Martin as a "little brother." The two men were good friends as far as Tannehill was concerned. Reports of racially charged voice mail messages, if true, could prove otherwise. Incognito is under suspension. Martin left the team. The NFL is investigating. John Zarrella joins "New Day" live from Miami with the latest. Tweeting for $14 billion: Wall Street is all atwitter with the social networking and microblogging website's initial public stock offering. Shares will start the day at $26, giving the company that specializes in 140 character messages an estimated value of $14.2 billion. That's about $100 million per character, if you're trying to do the math. Will the stock offering make Twitter profitable? Alison Kosik takes a look. Don't forget to rewind: Before the Internet and Netflix, there was Blockbuster. Rent a video tape, watch it and return it by the deadline or face those nasty late fees. Sounds quaint doesn't it? The retailer announced yesterday it was shutting down the rest of its 300 outlets, ending a slow and painful death for the one-time video giant. Blockbuster will continue its Blockbuster @Home brand to DISH Network customers, as well as its Blockbuster On Demand streaming service. Michaela Pereira has news headlines throughout the morning. - Twin twits: British college students Amber Langford and Annie Collinge win a costume contest dressed as the burning World Trade Center towers. One as the "North Tower" and the other as the "South Tower." Let's just say: We are not amused. 67 Brits died in the September 11, 2001, attacks in New York. - Best proposal ever (until the next, best proposal ever): Bethel College students Mike King and Katie Barabas often volunteer their time for the Feed the Homeless ministry in South Bend, Indiana, passing out pizza to those who could use a hot meal. How Mike proposes will warm your heart. - Baby rap: There's an arms race in the baby announcement biz. No longer are simple cards enough. The Taylors bust out a rap video to tell family and friends they're preggers. Check back in May. - Brother bear: We know pandas aren't really bears, but stay with us here, we like the alliteration. Zoo Atlanta's twin cubs don't always make good bedfellows. Mei Lun just wants to sleep, but Mei Huan has other plans. - Mastectomy dance: Faced with a double mastectomy, Deborah Cohan danced for joy this week. The Ob/Gyn and mom of two did the hospital gown boogie to Beyoncé's "Get Me Bodied" with the surgical team at Mt. Zion Hospital in San Francisco. At the same time, she asked family and friends to do the same, and send her the videos. She's going to watch them while she recuperates. During the Carnival in Patras, Greece (Greek version of Mardi Gras) a similar costume was worn by two individuals with a third one dressed as an airplane chasing them around....and this was only 6 months after 9-11. Another popular costume were bin Laden masks. the giant panda IS in fact a bear and not a raccoon. the red panda is more closely related to weasels than raccoons or bears. Uh... CNN does realize that giant pandas are actually bears, right? Family Ursidae.